A historic area for travellers heading north, Wetherby is a picturesque market town within the city of Leeds, in Yorkshire and a former settlement for members of the Knights Templar and Knights Hospitallers. 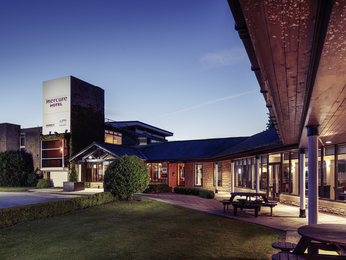 Make the most of your visit by taking your pick from our selection of hotels in Wetherby below. Things to do in the area include spa visits, which offer yoga and massages as well as steam baths. nearby Stockeld Park is a great family day out offering a number of unusual sights that visitors of all ages will enjoy, including a children's playground and a magical forest! Wetherby is easily accessed by road, with the A1 running alongside and the A661 also running through the town. Booking a hotel in Wetherby couldn't be easier. Simply browse our selection of hotels below and choose one that best suits your needs. Booking online with AccorHotels offers a host of benefits, including our Best Price Guarantee and last minute and real-time room availability.